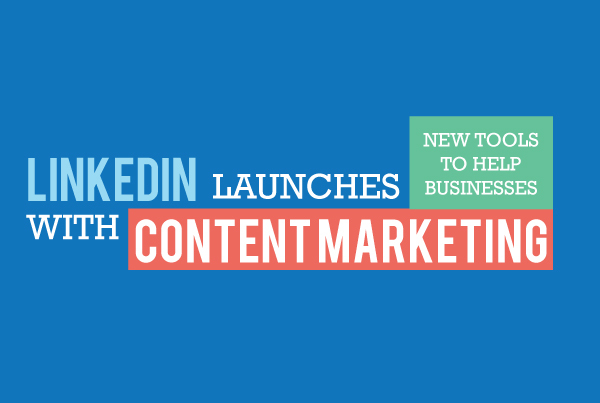 For several months, LinkedIn has been centering its ad business around content marketing. And for good reason. According to Forbes, brand communications has shifted from carefully curated, one-sided advertising to private, one-on-one interactions fueled by content marketing. Now it’s released a whole set of new tools to help businesses and marketers see how well they’re doing as content publishers: Content Marketing Score and Trending content. LinkedIn is describing this set of tools as the, ‘Dynamic Duo’. To assist marketers with measuring the effectiveness of their content marketing, LinkedIn has launched Content Marketing Score, which is “an analytics resource that gives you insight on the impact of your paid and organic content on LinkedIn.” How are the results calculated? By taking the unique engagement received by your content and dividing that by your total audience. The tool measures LinkedIn user engagement with sponsored updates, company pages, groups, employee updates, influencer posts, etc., and gives you a score. In addition, you’ll also get recommendations on how you can improve your score and how you stack up against competitors. And this is what will allow businesses to make necessary adjustments to their strategy and keep their audience engaged. While the Content Marketing Score tool measures, the Trending Content tool helps you ‘supercharge’ your strategy by ranking content that resonates most with your specific audience to maximize relevancy and engagement. You’ll be able to see top articles you can add to your content calendar to better engage your audience. Trending Content pinpoints the most popular and viral content from news, LinkedIn groups, influencers, and brands. And according to Alison Engel, LinkedIn senior director of global marketing, LinkedIn is “moving to a model providing insights to our customers is a core strategy,” and further goes on to say that these tools are intended to help brands plan (and tweak) content marketing strategy already in progress. We’re guessing the move is intended to encourage brands (once they find the quality content to share) to invest in LinkedIn ads to increase reach and bring more traffic to their company pages. It’s a great set of marketing tools that we think would be helpful for businesses that want a more active presence on the B2B social media site. While the insights are free, they’re only available for brands with a LinkedIn account representative (as of right now). Businesses can learn more about the Dynamic Duo content marketing tools on the LinkedIn marketing solutions page.